Employee state insurance scheme (ESI) is one of the most useful schemes for the employees in India whose monthly gross salary is less than 21000 Rs. Under the ESI scheme, both employee and family members of employees will get treatment in ESIC hospitals, not only treatment this scheme provides so many other benefits to the members and their family members. Here we will know about what are the ESIC benefits available for the family members of the insured person. There is no specific number for ESIC family members. 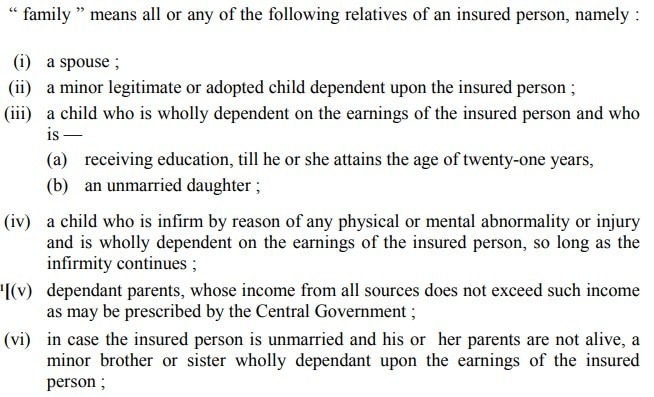 The below-listed family members of insured persons who don’t have any income source are eligible for ESIC medical treatment. The age limit of ESIC dependant children is increased from 18 years to 25 years w.e.f 01-06-2010 as per the ESIC amendment act 2010. From the first day of entering in ESIC scheme both insured person and family members will become eligible for ESIC medical treatment in ESIC dispensaries and hospitals. Even though employees get retired or permanently disabled still they can get medical treatment by just paying an annual token fee of 120 Rs to the ESIC. The family members of insured persons can get treatment in their ESIC dispensary by just showing the ESIC Pehchan card or ESIC temporary ID card (print counterfoil). Whenever the death of the insured person occurs due to employment injury or occupational hazard then 90% of wage will be paid as monthly payments to the dependents of the deceased insured person. 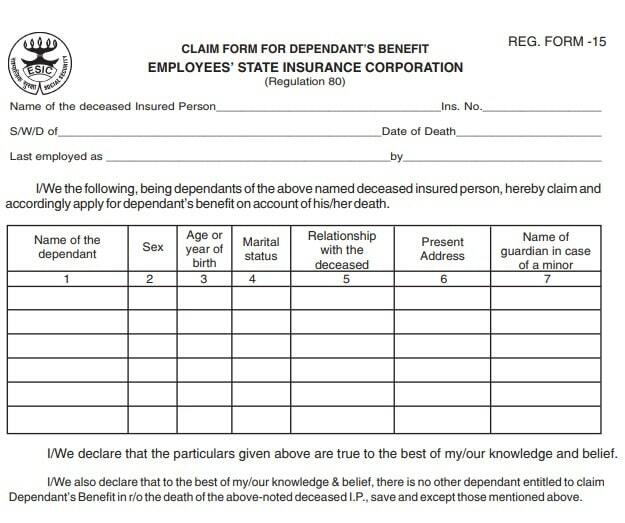 In order to claim ESIC dependents benefit the dependents of deceased member need to submit ESIC dependent benefit claim form to the ESIC branch office along with ESIC Pehchan card of the deceased member. 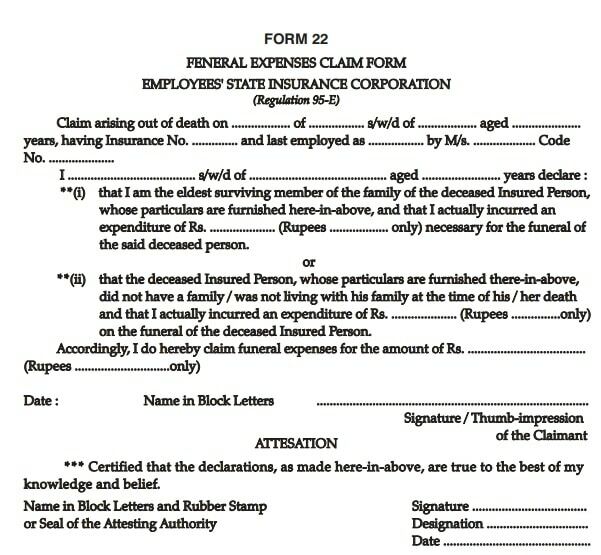 To claim ESIC funeral expenses the relatives of the deceased member should need to submit ESIC funeral expenses claim form 22 and ESIC Pehchan card of the deceased member to the ESIC branch office within 6 months after the completion of final rituals. There are so many other benefits which ESIC is providing to the insured persons. But the above mentioned Three benefits are mostly related to the family members of the insured person.